Holli Vanderslice started out as a caterer back in the early 2000s. Realizing she had underutilized time in her catering kitchen, she rented out space to fellow entrepreneurs. 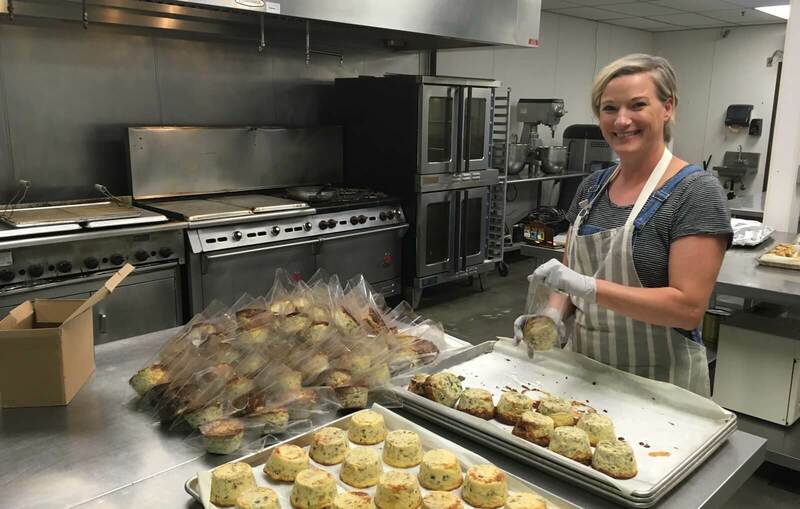 Seeing the need for access to commercial kitchen space in Oceanside California, Holli pulled the trigger in April 2016 and shifted her space into a for-profit shared-use kitchen. Today, Oceanside Commerical Kitchen serves over 50 food entrepreneurs with an array of client needs, including one of the best sunset views around. While Oceanside is just 5 miles from the Pacific Ocean, starting a shared-use commercial kitchen wasn’t just piña coladas and long walks on the beach. The Food Corridor takes several tasks off of Holli’s plate. Coordinating their calendar and collecting rent has become almost entirely automated. The software empowers her clients to handle their own scheduling and payments. Holli can see what’s going on in each station, fit people in at the last minute, and no longer be the “bad guy” always trying to collect rent from her clients. She loves how she doesn’t “have to worry about getting paid every month”. The self-sufficiency brought on by The Food Corridor was a game changer. Spending a third of the time on scheduling and collecting payments while also managing over twice as many clients, Holli can commit more hours towards working on the business versus in the business! With that extra time and insight into her kitchen operations, Holli has already made impactful changes to her kitchen that take her business to the next level. With the help of the calendars and reporting tools in The Food Corridor, Holli is more conscious of the needs of her members. Having more information available, she realized an opportunity to rearrange the kitchen and even add a fourth unit for members to book. This improved the utilization of the space – increasing the number of food businesses they could support. Their current members also gained more slots available for booking time in the kitchen. It was a big win for everyone! Spend less time on scheduling and collecting money and more time on growing your business! Set up a demo and learn what the impact could be on your kitchen.